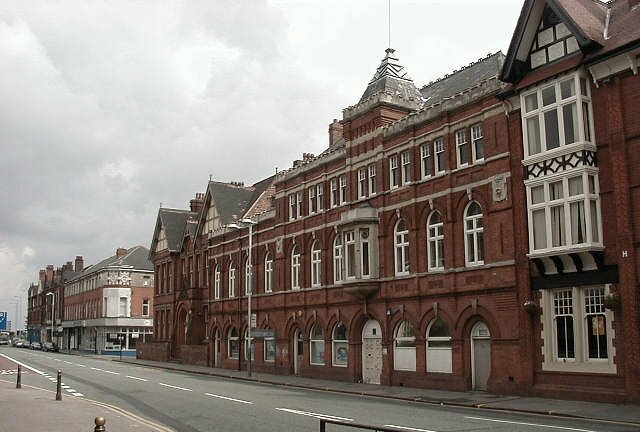 North Street, one of Wolverhampton’s oldest streets, was once the site of the local jail, known as the House of Correction, which opened in 1745. It was a county gaol, and stood on the eastern side of North Street, opposite Giffard House, where St. Peter’s Car Park now stands. County gaols first appeared at the end of the 17th century as a result of the Gaol Act of 1698 which gave Justices of the Peace the responsibility building and maintaining them. They were seen as a better alternative to private lockups. 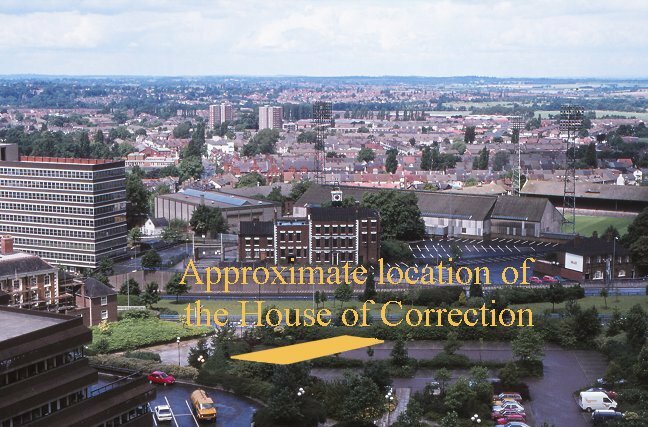 Before the opening of the House of Correction, convicted prisoners in Wolverhampton were sent to the county jail at Stafford, which at the time was either in the vicinity of the now-demolished North Gate, or in North Gate itself. Stafford Jail was built on its present site in 1793. After the opening of the House of Correction, criminals could be sent there, or to the county jail. People sent to trial were dealt with by three courts, the Assizes, the Quarter Sessions, and the Petty Sessions. The assizes met twice a year and dealt with more serious offences, including some civil actions. The quarter sessions court, under the control of at least two Justices of the Peace was held four times a year, early January (Epiphany), Easter or Lent, Midsummer, and Michaelmas. It dealt with criminal and administrative matters. The third court, the petty sessions, the lowest tier in the court system, appeared at the beginning of the 18th century to relieve the quarter sessions of some of the less important cases. Cases included theft, larceny, poor law disputes, assaults, drunkenness, and arbitration. Some of the cases were passed-on to the Quarter Sessions. The view from St. Peter's Church tower in 1988. In the 18th century, punishment for even relatively minor crimes could be severe. Convicted people could be whipped, publically or privately, or incarcerated in the stocks. Prison sentences were much longer than we are used to today. People who were in debt often ended-up in prison, as did vagrants. Debtors formed a large percentage of the prison population, often being innocent trades’ people who had fallen on hard times. They were kept there until they paid their debts, by legal action taken against them by their creditors, and were committed under an act for the recovery of small debts for Wolverhampton and the neighbourhood. Wolverhampton’s House of Correction was financed by Staffordshire County Council from the county rates, and administered by the Under Sheriff of the county, and the magistrates. People sentenced to short terms of imprisonment there were often convicted at the Petty Sessions. The famous prison reformer John Howard visited the House of Correction in 1779 and 1782. He considered the conditions in the prison to be appalling. The insecure building was in a bad state of repair, and prisoners were kept in irons for the slightest offence. An article appeared in the Wolverhampton Chronicle in September 1789 about the insecure prison. A number of prisoners had sawn-off their irons, and made a large hole in the wall, through which to escape. Luckily they were apprehended by the keeper before they got away. Between 1798 and 1800 the prison was rebuilt at a cost of £803, and afterwards referred to as the Crib, or Bridewell. The building had accommodation for male and female prisoners. The rooms on the ground floor included a day room with a fireplace, a work room, and two solitary cells. On the first floor were ten sleeping cells and an infirmary room with a wooden bed and a fireplace. The cells measured 8 feet by 6 feet, and beds consisted of a rush mattress, two blankets and a coverlet. There were two flagged courtyards, one for the men measuring about 33 feet by 18 feet, with a pump and a crude open air toilet, and another for the women, measuring about 27 feet by 10 feet, with a water supply and a crude open air toilet. 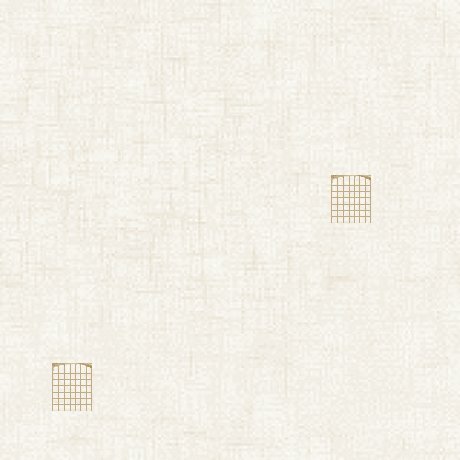 The courtyards were accessed from the cells by a passage, 4 feet 5 inches wide. In 1801 George Roberts was appointed Keeper of the Bridewell, at an annual salary of £80. He became infamous in the town after attempting to get two innocent men convicted of highway robbery. The offence was punishable by hanging. The two men were duly convicted and sentenced to hang outside Stafford jail on the morning of Saturday 16th August, 1817. Roberts was entitled to a considerable reward, but luckily the men were pardoned, mainly due to the efforts of Charles Mander. Although Roberts was suspected of falsifying evidence, he remained as keeper at the North Street Bridewell until its closure in 1821. Prisoners were employed in making nails, screws, and sacks. In 1818 a prisoner could earn £6.15s.0d. a year for labour, but would only receive one sixth of the amount, the remainder was divided equally between the county council and the keeper. At the time the weekly allowance consisted of 6½ lbs of bread, 1 lb of cheese and 10 lbs of potatoes, as well as a few clothes, but only when necessary for health and cleanliness. Although the prison had been rebuilt, conditions were still poor, and soon began to deteriorate. Overcrowding was often a problem. In July 1812 forty seven prisoners were held there, and in June 1817 there were sixty five prisoners. In March 1820 a highly critical report was submitted to William Dyott, Chairman of the Staffordshire County Gaol Committee. The report stated that 39 prisoners were crammed into filthy and poorly ventilated cells, and many prisoners were interned in the prison yard. The cell for vagrants was 'in the very worst state of filth', and in another cell there were eight women and their nine illegitimate children, living in disgusting squalor. All the prisoners were in an exceedingly dirty state, and none was at work, although the keeper stated that he occasionally employed male prisoners to polish tea trays. A handbill from 1820. The report concluded that “this prison appears a receptacle for every species of delinquency, from the murderer to the idle apprentice boy, all crowded in one common yard without employment, though mostly committed to be kept to hard labour”. Partly as a result of these revelations, the Staffordshire authorities decided to close the prison in 1821. It was auctioned at the Red Lion Inn in December 1824, and described as “a good substantial house, with two parlours, two kitchens, pantry, two cellars, and a small garden. Stafford Street in 2001. The Bridewell was roughly in the centre of the photo. Although the terrible situation was discussed by the Improvement Commissioners, nothing was done. Luckily the matter did not rest there. Wolverhampton’s Magistrates began to urge the county authorities to build a new police station and jail in the town. In September 1844, Henry Hill, J.P. stated that the cells in the Bridewell could only hold 25 to 30 prisoners in terrible conditions. The appalling state of affairs was also described by other magistrates, and plans were drawn-up for a new police station with living quarters for policemen, and cells for prisoners. In March 1845, land in Garrick Street was purchased from the Duke of Cleveland, and work on the new police station soon got underway. It was completed in 1846 at a cost of £3,700, paid by the county rates. It consisted of a courtroom, a house for the Chief Constable, accommodation for policemen, and 8 cells with room for 40 prisoners. Finally the town’s Bridewell could be closed, bringing to end an awful chapter in the life of local prisoners. In 1849, the Wolverhampton Borough Police Force was established, with headquarters at Garrick Street Police Station.